Eating healthy will ensure that you greatly decrease the risk of getting high blood pressure or if you already have high blood pressure it can be lowered. So what should you be looking to eat? Foods that contain potassium, magnesium, calcium and low fat. If the potassium level is at a low level, then your body retains sodium, too much sodium will raise your blood pressure. Shown below is a selection of the best blood pressure lowering foods. 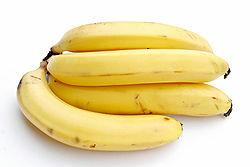 A study done in 1997 at the Johns Hopkins university in the united states suggested that if people ate 5 bananas a day it would be equal to half a blood pressure controlling pill. Another study done at Kasturba medical college in southern India involving human volunteers found that those who ate two bananas a week lowered their blood pressure by 10%. Potatoes are a good source of potassium, iron, magnesium and vitamin B. Researchers at the Institute for Food Research in Norwich have found blood-pressure lowering molecules in potatoes called kukoamines. It is best to bake the potato as it contains more potassium with the skin than without. 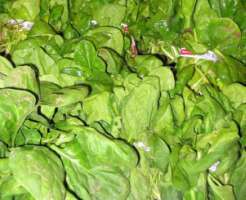 Spinach is high in potassium and magnesium and low in sodium. The folate in spinach helps lower blood pressure and relaxes the blood vessels, which maintains proper blood flow. 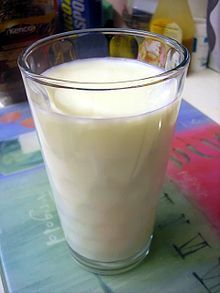 Skimmed milk has low levels of saturated fat and has a good amount of calcium and magnesium. As well as helping to reduce blood pressure it is also good for overall cardiovascular health. 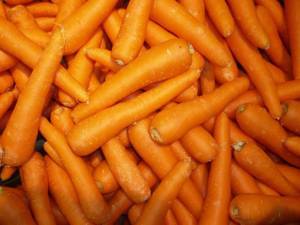 Carrots contain a high level of potassium and magnesium and lots of other nutrients. 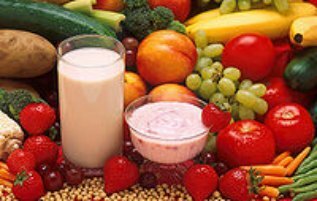 To find out more about potassium rich foods visit the foods high in potassium page. 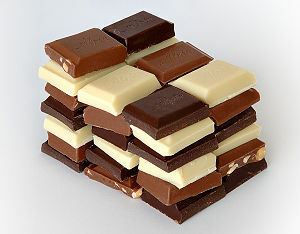 Dark chocolate can be good for blood pressure, read about it and other benefits of chocolate on the health benefits of chocolate page.